CULLMAN – Since the introduction of e-commerce and internet sales transactions, robberies, assaults and even murder have been a concern nationwide. Finding a safer place to make internet sales transactions has proven to be a challenge. The idea for the “safe exchange zone” in Cullman was brought to the Cullman Rotary Club by one of their own Cullman Rotarians. The idea was presented to Cullman Police Chief Kenny Culpepper to see if such a site was warranted in the community. Culpepper indicated that they had seen some incidents during internet sales transactions, and under his leadership and guidance, the idea began to take shape. The “safe exchange zone” is an area in the parking lot of the police department facility, located at 601 Second Ave. NE. The area is well-lit and has security cameras in place for 24-hour surveillance. The site has been featured on ABC 33/40 and has made a positive impact on the community. 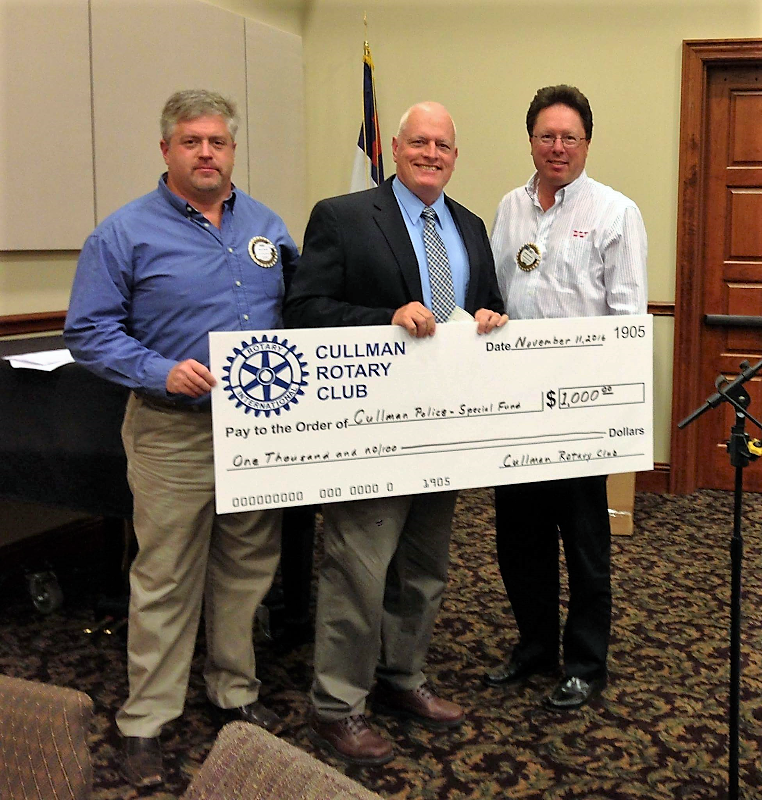 In addition to introducing the idea, Cullman Rotary Club members also donated funds to help get the site established. The zone may also be used for custodial exchanges between parents. • Only trade with local buyers/sellers. • Take someone with you to meet a prospective buyer/seller. • Make sure a family member or friend is aware of the transaction details. • Insist on meeting in a public area, like the CPD’s safe exchange zone. • Do not enter someone else’s house, and do not allow a stranger into your home. • When possible, complete the transaction during daylight hours. • If a transaction occurs after dark, complete the transaction in a well-lit, public location, such as the CPD’s safe exchange zone. • Be extra cautious when buying or selling valuable items such as vehicles or jewelry. • Trust your instincts: If it sounds like a scam, it probably is. • If someone is not willing to meet you at the CPD’s safe exchange zone to complete the transaction, it is probably not a legitimate transaction.